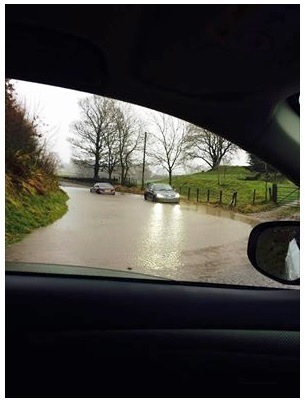 I had arranged to work on an original Sandstone floor in an old barn conversion in the town of Sedbergh, Cumbria, however I had to delay the visit due to the poor conditions of the roads in this area at the time due to Storm Desmond which you may recall brought a substantial amount of flooding to Cumbria. Sedbergh was historically considered part of the West Riding of Yorkshire – sitting just within the Yorkshire Dales National Park – but in more modern times, it has come to be part of Cumbria. 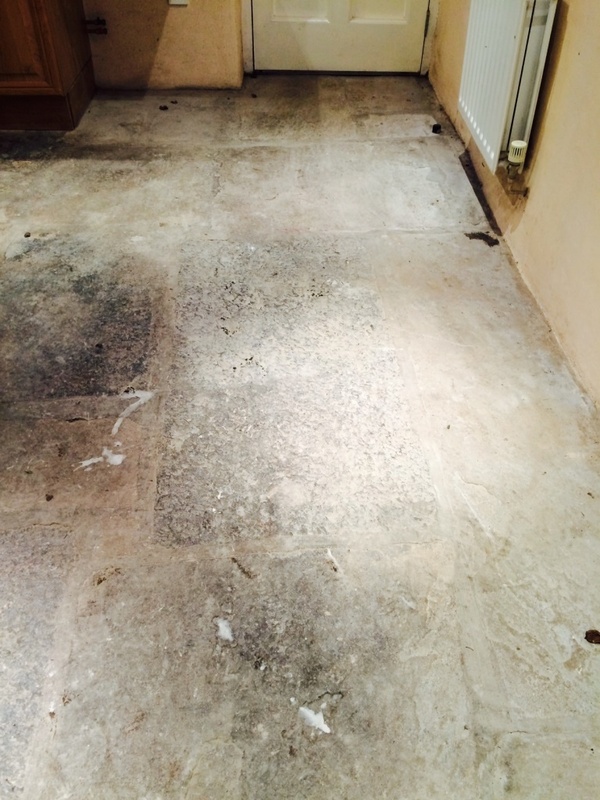 The floor had been hidden by several old carpets and underlay and, unsurprisingly – judging by the condition – had never been professionally cleaned, at least not by today’s standard. 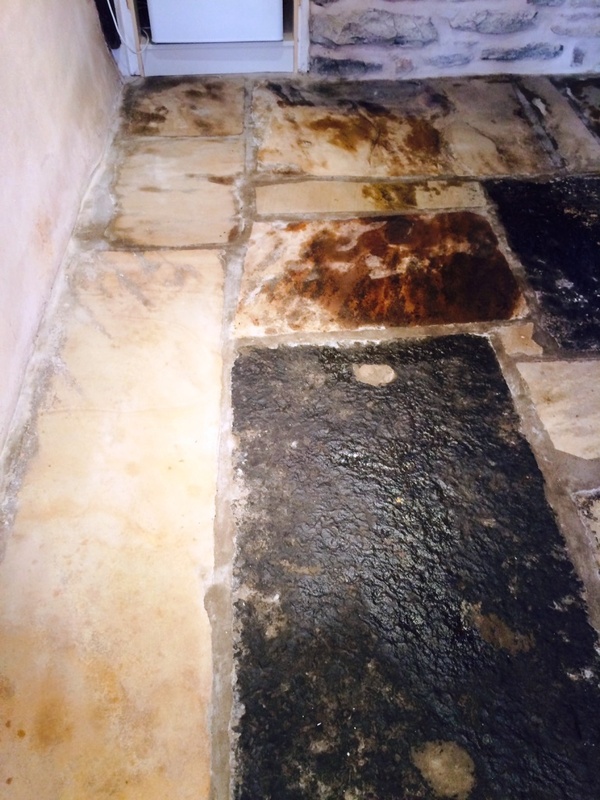 Given the location of the property and the fact it was a barn conversion we can assume the stone flooring was very old, and certainly now in need of restoration. I could see that the stone had never been properly refined, leaving a rough surface that my client wanted to be smoothed down. I told my client that we would be able to achieve this using a process Tile Doctor has developed using very coarse diamond encrusted pads, known as Milling. 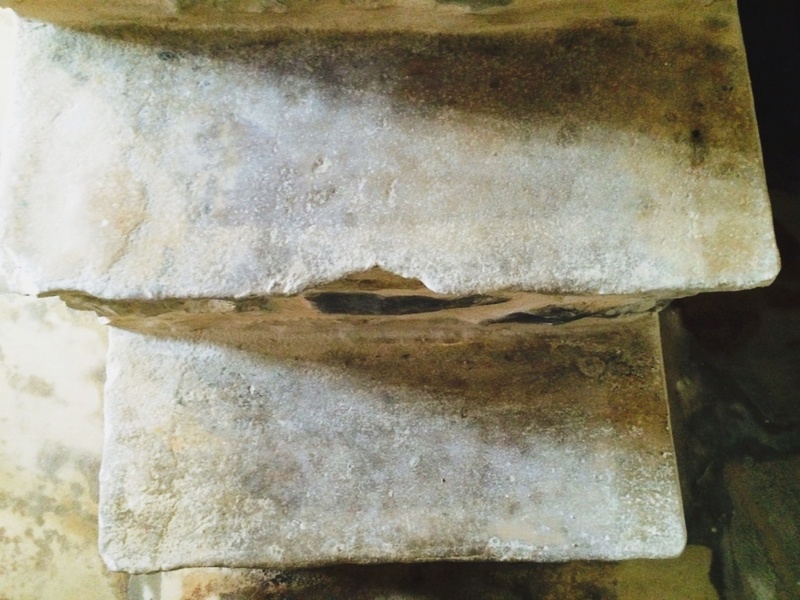 The diamond encrusted grit pads are designed to smooth down the stone; much like coarse sandpaper is used to smooth down a rough piece of wood. To begin the coarse pads were fitted to a heavy Victor Trojan rotary machine and Russell was on hand to mill the floor. 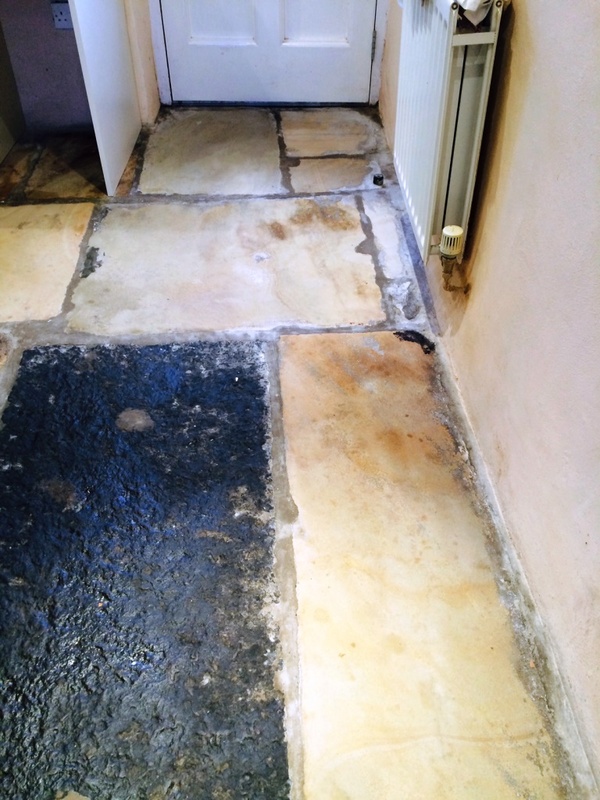 This process requires quite a bit of water to lubricate the pads and can cause a mess so it’s just as well the owner had decided to have the floor done before the new kitchen was fitted. 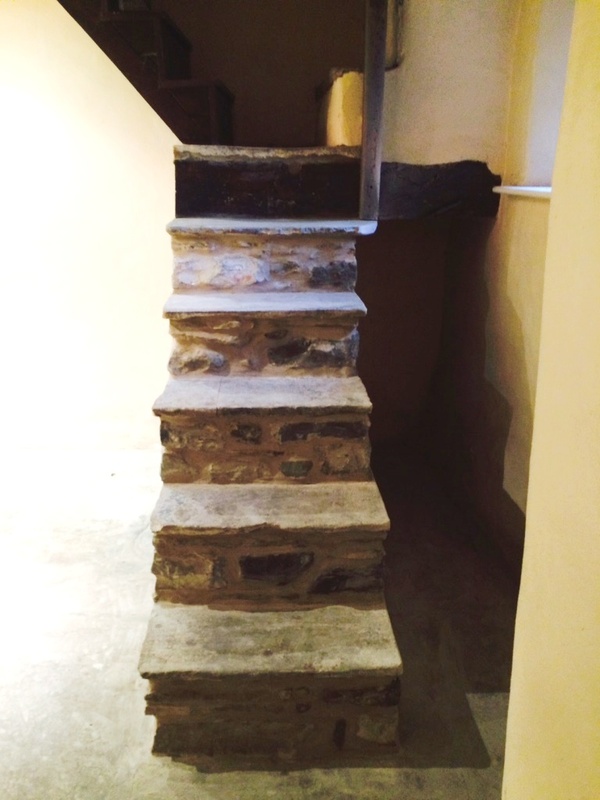 The Sandstone stairs were also milled and once done the whole floor was given a thorough wash down to remove any remaining debris. We decided to leave the sealing until after the kitchen fitters had been and so we came back a few days later to seal the floor, but not before giving the tiles a light clean using Tile Doctor pH Neutral Cleaner, which is suitable for use on most kinds of stone – especially those which are acid sensitive. 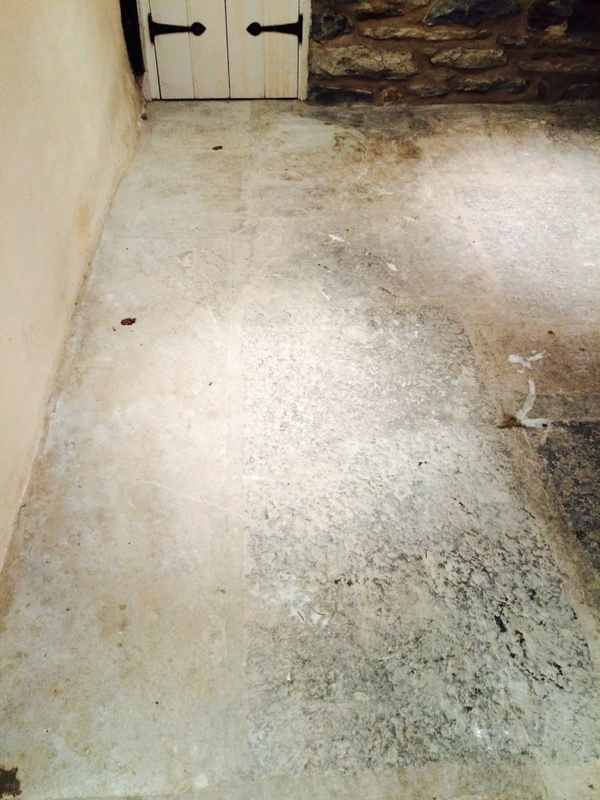 The floor was then speed dried with fans and then sealed with two coats of Tile Doctor Colour Grow. This sealer really brought out the natural colours in the Sandstone tiles, and provided the Matt finish my client had requested. The outcome was great, but the photographs can tell the story better than we can. 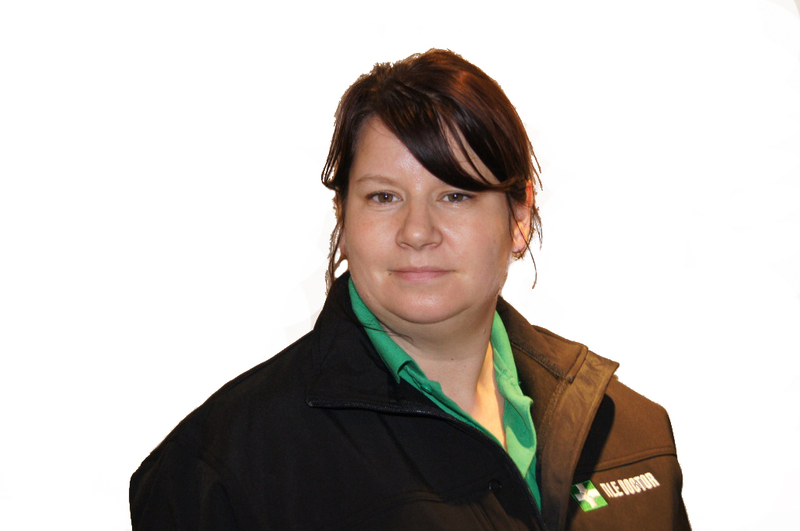 My client was very pleased with result, leaving the following feedback: “Both Russell and Heidi were helpful and particularly flexible in view of the flooding at the time. They were both professional and polite and did the job thoroughly. I was delighted with the result”.